Swelling, also known as Chronic Venous Insufficiency, or Venous Stasis, is the leading cause of ulcers in the lower legs. When the veins don’t work properly, blood backs up and pools in the legs. This causes the skin to stretch and causes cells within the veins to leak out and destroy the skin, leading to ulcers. Diagnosis is primarily made in the office based on clinic exam. However, often times you physician will order an ultrasound, called a reflux exam, to check and see if the veins are working properly. Gravity works against us when it comes to swelling. Gravity pulls the fluid down where it pools in the feet. 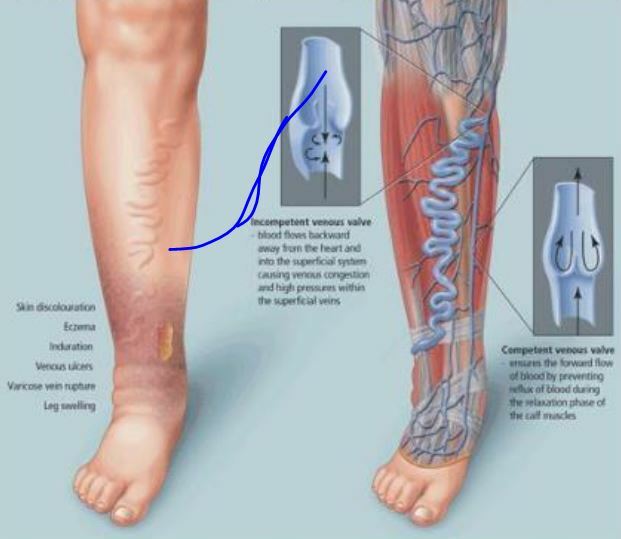 Elevating your legs will help the swelling drain back to the heart. This works well, however is not a great long-term solution to leg swelling. There are numerous wrap options available. For short term, we like Unna boots or Profore wraps. Long term, Juxtalite makes a custom wrap you can apply at home. For more information, ask you wound expert. At Capital Foot and Ankle, we partner with Jobst and carry most styles, sizes, and levels of compression on hand! Jobst stockings are graded, meaning they compress more in the foot and less in the leg to help push the fluid back out of your legs. 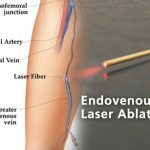 If your veins are not working correctly, sometimes then can be fixed with a simple procedure called an ablation. Sometimes this is done with injections, wires, or lasers. Typically, this procedure is quick, safe, and almost painless. Ask your doctor today.